Perrigo announced the launch of Triamcinolone Acetonide Topical Aerosol, the generic version of Sun Pharma’s Kenalog spray. Kenalog spray is a topical corticosteroid indicated for the relief of inflammatory and pruritic manifestations of corticosteroid-responsive dermatoses. Topical corticosteroids share anti-inflammatory, antipruritic, and vasoconstrictive actions. The mechanism of anti-inflammatory activity of topical corticosteroids is unclear. There is evidence to suggest that a recognizable correlation exists between vasoconstrictor potency and therapeutic efficacy in man. RELATED: Is Human Breast Milk as Effective as Hydrocortisone for Atopic Dermatitis in Infants? Triamcinolone Acetonide Topical Aerosol is available in a 0.147mg/g strength in 63g and 100g aerosol cans. Shipments of this product have commenced. 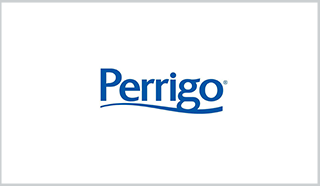 For more information call (800) 634-9120 or visit Perrigo.com.